How Long Does A DUI Stay On Your Record In Pennsylvania? | McKenzie Law Firm, P.C. 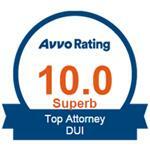 Home » FAQs » How Long Does A DUI Stay On Your Record In Pennsylvania? In Pennsylvania, a DUI conviction will remain on your record for life unless it is expunged or given limited access relief. Because your conviction is a matter of public record, it will be reflected in your criminal background and credit records as well as your insurance and driver’s license history. If you receive a DUI conviction in Pennsylvania, the state will update your record in the National Highway Traffic Safety Administration’s (NHTSA) National Driver Register to reflect the details of your offense. Financial reporting agencies also receive notification and may incorporate this data into your credit history. Consequently, any time a potential employer, landlord, car rental agency, or insurance company requests a background check or credit report, it will see the details of your conviction. How does having a DUI on my record affect me? A DUI conviction on your permanent record can raise a red flag in many important circumstances. Potential employers commonly require a background check as a condition of employment. Many companies are unable to, or simply will not, hire employees who have been convicted of driving under the influence, especially those that contract with the government, interact with children, and that allow employees to drive company vehicles. Obtaining professional licensure, such as a real estate license, may also be impossible with a DUI on your record. Most property managers and landlords also request credit and criminal history before agreeing to rent a home or apartment. Any conviction on your record may be grounds to deny your rental application. A DUI conviction will also likely prevent you from obtaining affordable car insurance. An analysis conducted by Value Penguin reported that Pennsylvania car insurance rates for drivers with a DUI conviction are double those of drivers who do not have a DUI conviction on their record. Even your first and only Pennsylvania DUI conviction can continue to haunt you, personally and financially, for a lifetime. Can I expunge my Pennsylvania DUI? Yes, under limited circumstances as highlighted by the PA Bar Association. You can have your DUI expunged if you entered and successfully completed Pennsylvania’s Accelerated Rehabilitative Disposition (ARD) program. You must apply to be accepted into the ARD program and if you successfully complete it, your DUI is dismissed. Thus, it does not result in a conviction. The ARD program may require that you complete a substance abuse program, perform community service, and make restitution to victims, if applicable. While in the program, you will be under supervision by the ARD department in the county wherein the DUI occurred. Every county’s ARD program is unique onto itself. You can, of course, expunge a DUI that was dismissed short of, or after, a bench or jury trial. As a result of the new Pennsylvania expungement law that went into effect in November 2016, a DUI conviction can be granted limited access status, thus giving limited access to the DUI conviction to law enforcement and other state agencies only. How do I obtain a DUI expungement? If you are eligible for a Pennsylvania DUI expungement, you must meet all the requirements established in Pennsylvania Statute § 9122. However, you have no guarantee that the court will grant your request. Our team can work with you to get your DUI expunged in an expedited and professional manner. Can I go to another state to get a clean driver’s license? Decades ago, this may have been possible. Today, however, every state’s driver’s licensing records are in NHTSA’s Problem Driver Pointer System (PDPS). When you apply for a license in another state, that state’s motor vehicles department will consult this national database to determine your status and history in other states. Any convictions or prior history of license revocation, suspension, or denial will come up, as will your current eligibility for holding a driver’s license. Consequently, no matter where you go in the U.S., you will not be able to obtain a clean driver’s license. How can I avoid having a DUI on my record? The only way to keep your driving record and criminal background clean is to avoid a DUI conviction. The easiest way to accomplish this is to not drive while you are under the influence of alcohol or drugs. However, because everyone makes mistakes, you may find yourself facing DUI charges. Being charged with DUI in Pennsylvania does not guarantee a conviction or a permanent mark on your record. However, this is not a battle you should try to fight on your own. A DUI attorney understands the complex nature of these charges and, if a successful defense is available, your lawyer can mount a strong case on your behalf. In Pennsylvania, attorney David C. McKenzie III of the McKenzie Law Firm, P.C. focuses on DUI defense for clients in Montgomery County. Contact our office today at 610-680-7842 to discuss your case and learn more about how long a DUI stays on your record in Pennsylvania.